Here’s a secret. 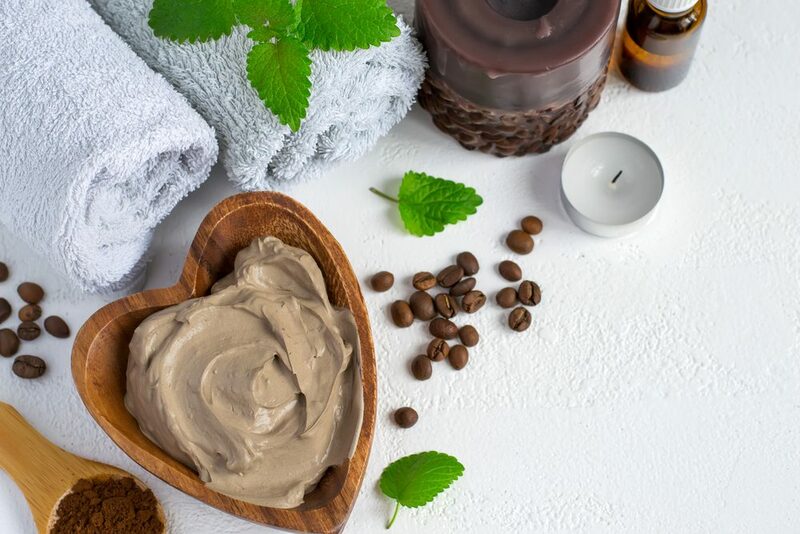 You don’t have to spend a fortune on scrubs, face masks and oils to get that fresh-from-the-spa feeling. Mass-produced skin care products are overpriced and often contain questionable ingredients used to make the item last longer on the shelf. Chances are you already have most of the ingredients in your kitchen pantry to produce a wide range of skin-pampering concoctions. After you’ve mastered the basic recipe, you can customize to your heart’s content. There’s no end to what you can think up. It’s so easy; you’ll wonder why you ever bought them from the store. You’ll look great and save money in the process, too. Remember that since these scrubs and masks are fresh and don’t contain ingredients that preserve their shelf life, they won’t last long. You can keep any remainder in the refrigerator for a few days. The exception is the facial oil, which will keep for 8-12 months. 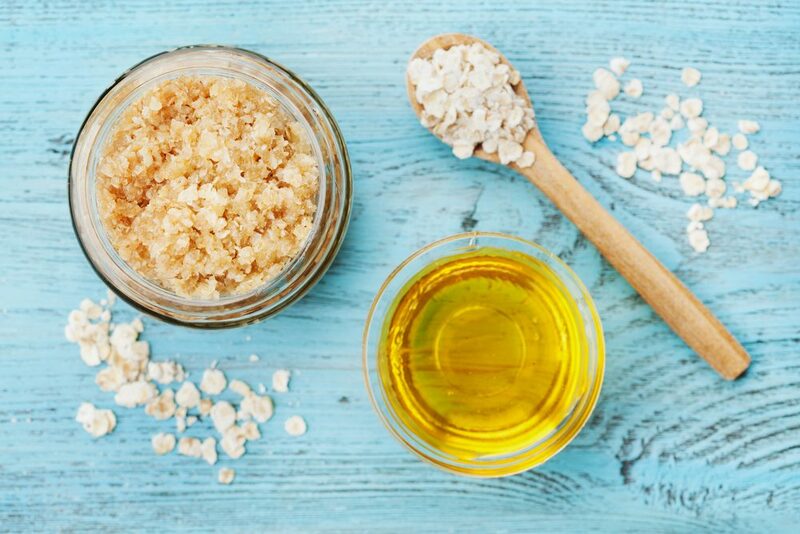 It doesn’t get any easier than this salt and sugar scrub. 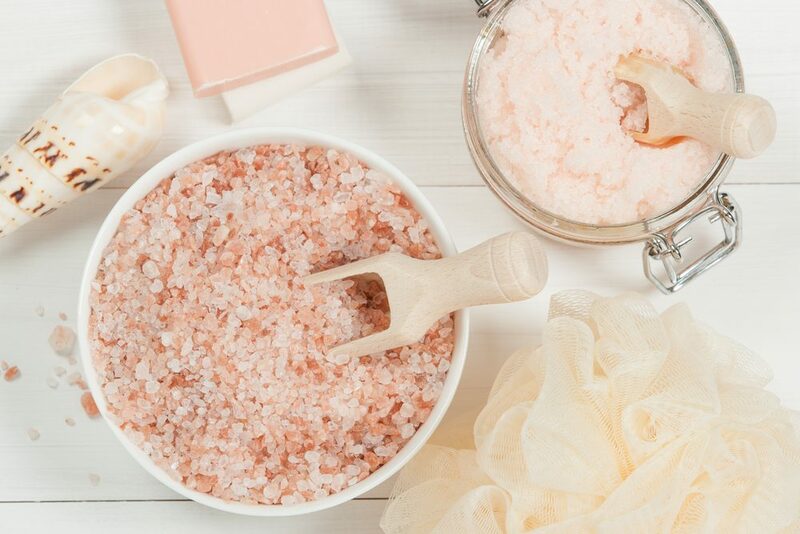 The coarse salt works wonders to remove dirt and dry skin. Mix all of the ingredients in a bowl. Use a quarter-sized ball and gently scrub in a circular motion. Rinse and follow with your favorite cleanser and moisturizer. The coconut and oatmeal combine to form a delicious caramel scent. Use this scrub to loosen blackheads and keep your skin smooth and hydrated. Use a food processor or coffee grinder to grind the oatmeal into a fine powder. In a small bowl, mix the oatmeal powder and brown sugar. Then, mix in the honey and coconut oil until well-combined. Apply in a circular motion. Rinse with warm water. 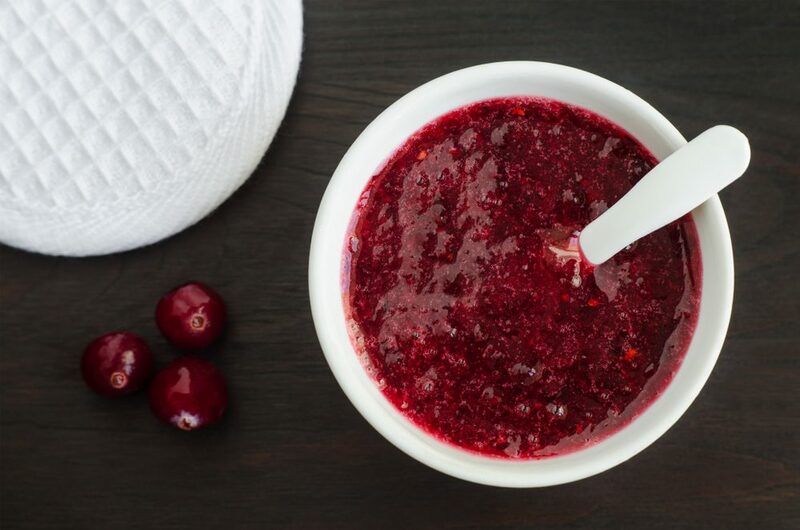 Puree the cranberries. Add the sugar and coconut oil. Then mix in the frankincense or orange oil until well-combined. Apply a little dollop to the face and scrub. Rinse with warm water. Put your used coffee grounds to work. You’ll reap the rewards of beautiful skin as well as knowing you generated just a bit less waste. The caffeine in coffee can help to reduce the appearance of fine lines by increasing blood flow to the skin. Mix the coffee grounds and sugar until well blended. Add in the oil. Adjust the amount of sugar to achieve desired consistency. Gently scrub the face and rinse with warm water. Avocado is fantastic for soothing sun-exposed skin. Try this mask anytime you’ve spent a lot of time outdoors. 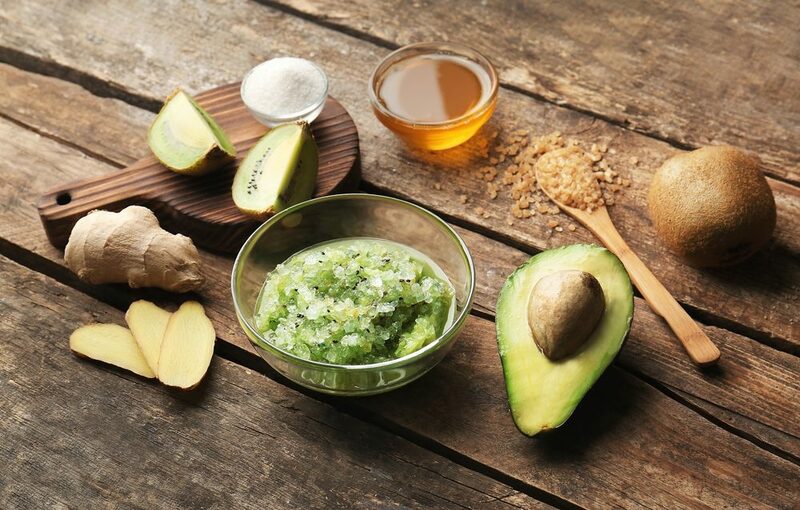 The avocado will have your skin feeling refreshed in no time. The cucumber will help reduce dark circles from under the eyes. Mash the avocado until most of the lumps are gone. Mix in the honey and yogurt until well-blended. Apply to a clean face and let sit for 15 minutes. Rinse with warm water. Apply two cucumbers to your eyes while the mask sets. 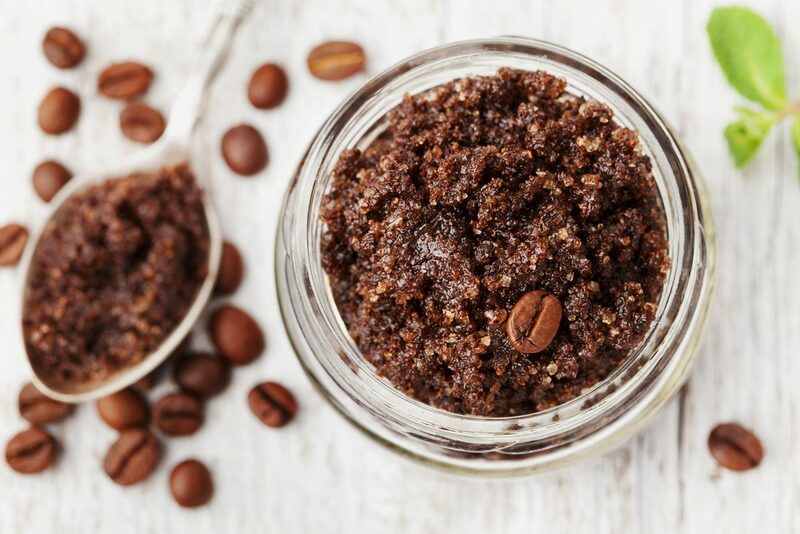 Similar to the coffee scrub, the caffeine in this mask will help increase blood flow to the skin. Try this one while you’re getting ready in the morning and you’ll look more awake than you feel. Combine all ingredients. Apply a thin coat to the face and let sit for 15 minutes. Rinse with warm water. Here’s another use for those overripe bananas you have sitting on the counter. 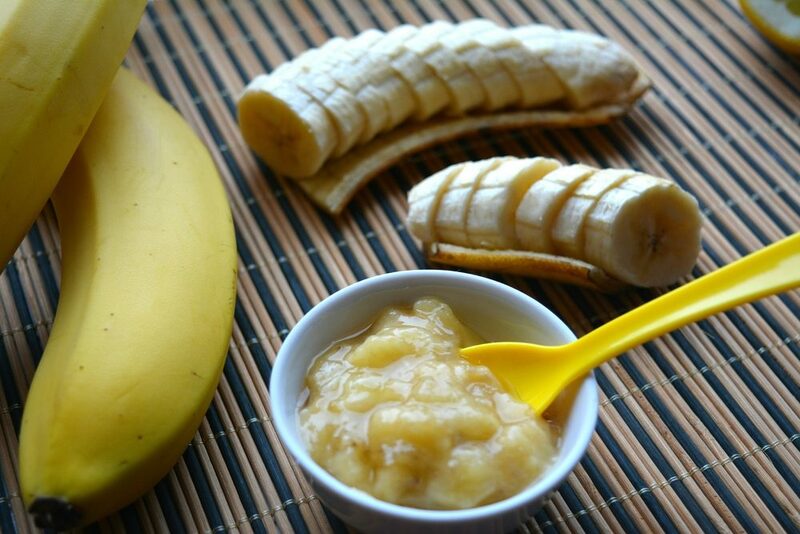 Bananas are a fantastic natural moisturizer and will give your skin a soft, supple feeling. Mash the banana until it forms a paste. Mix in yogurt and honey. Apply to your face and let sit for 15 to 20 minutes. Rinse with cold water. 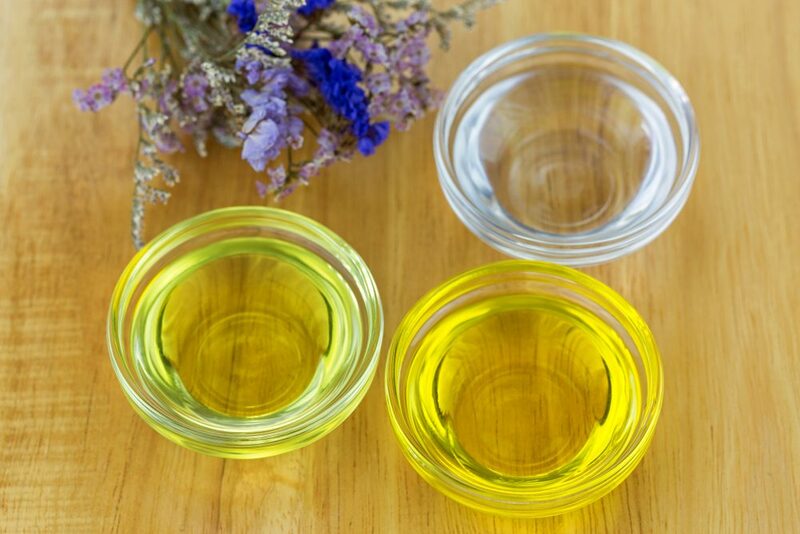 Contrary to popular belief, applying oil to your face will not cause acne or breakouts. Jojoba oil is a perfect facial oil because it mimics the oils naturally produced by your skin and may even be better for you than traditional moisturizers. In a one-ounce bottle, fill two-thirds full with the jojoba or argan oil. Add four to six drops of the essential oil. You should be able to smell it, but it should not be overpowering. If you’re adding the bonus oil, fill the jar until almost full. Shake to blend.